CAIRO, April 12. /TASS/. The Sudanese military will not hand over ousted president Omar al-Bashir to the International Criminal Court (ICC), head of the political committee of the country’s Military Council General Omar Zein al-Abidin said at a press conference on Friday. In March 2009 the Hague-based International Criminal Court issued an international arrest warrant for al-Bashir. He was accused of personally giving orders to suppress unrest in Darfur and of genocide against the Fur, Masalit and Zaghawa tribes. Five out of seven counts pressed by the ICC against al-Bashir accuse him of crimes against humanity and two counts charge the ousted president with military crimes. 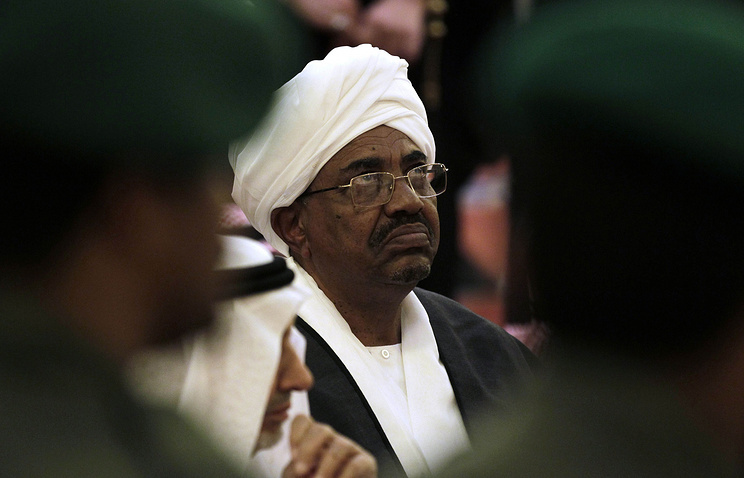 Al-Bashir became the first head of the country, who was issued an arrest warrant by the International Criminal Court. The ousted president paid visits only to countries, which guaranteed that he would not be handed over to the ICC. On April 11, a military coup took place in the country and President Omar al-Bashir was ousted after 30 years in power. The Sudanese army suspended the country’s constitution, dissolved the parliament, government and local authorities and declared a three-month state of emergency in the country. The army also formed a military council to rule the country during an interim period that is expected to last two years. Hey Buddy!, I found this information for you: "Sudanese army against handing over ousted president to International Criminal Court". Here is the website link: https://russophile.org/sudanese-army-against-handing-over-ousted-president-to-international-criminal-court/. Thank you.